Read more about Energia's high performance insulation, including spray foam, cellulose, mineral wool, and fiberglass, servicing central and western MA. As a home or building owner, there are dozens of insulation options and knowing which one is right for your application can be difficult. Energia installs multiple types of high performance insulation. We choose the healthiest and most efficient insulation option for your home. Not all insulation performs the same or is appropriate for every situation. It is very important to consider insulation value (R-Value), vapor permeability, moisture loading, and the specific location where the installation will take place. At Energia, we have a track record of helping customers decide which insulation is best while taking into account occupant health, building performance, and budget constraints. The following are examples of available insulation. 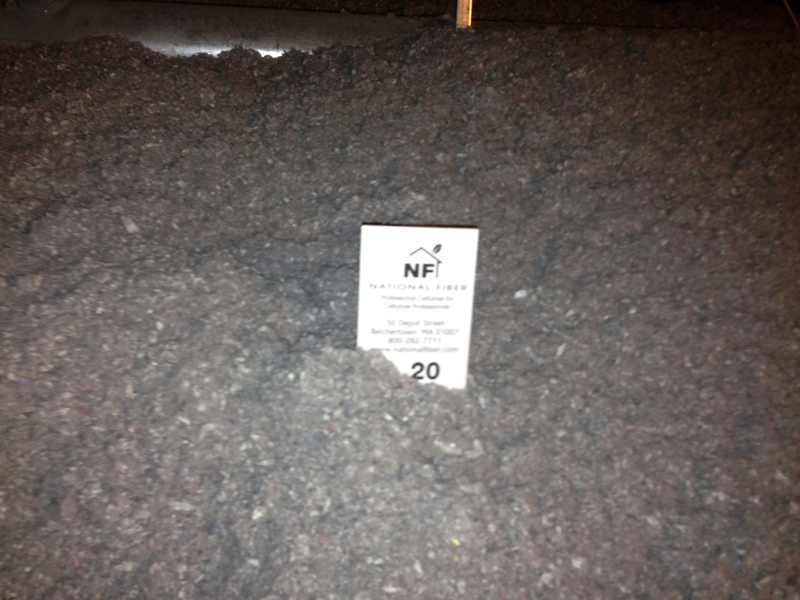 Cellulose insulation is made from 83% recycled newspapers and is sourced from the best manufacturer's in North America. The addition of Borate, a naturally occurring mineral, provides fire and mold protection and acts as a deterrent to pests. Cellulose insulation can be "dense-packed" into cavities by drilling and filling or by stapling up netting and filling behind. 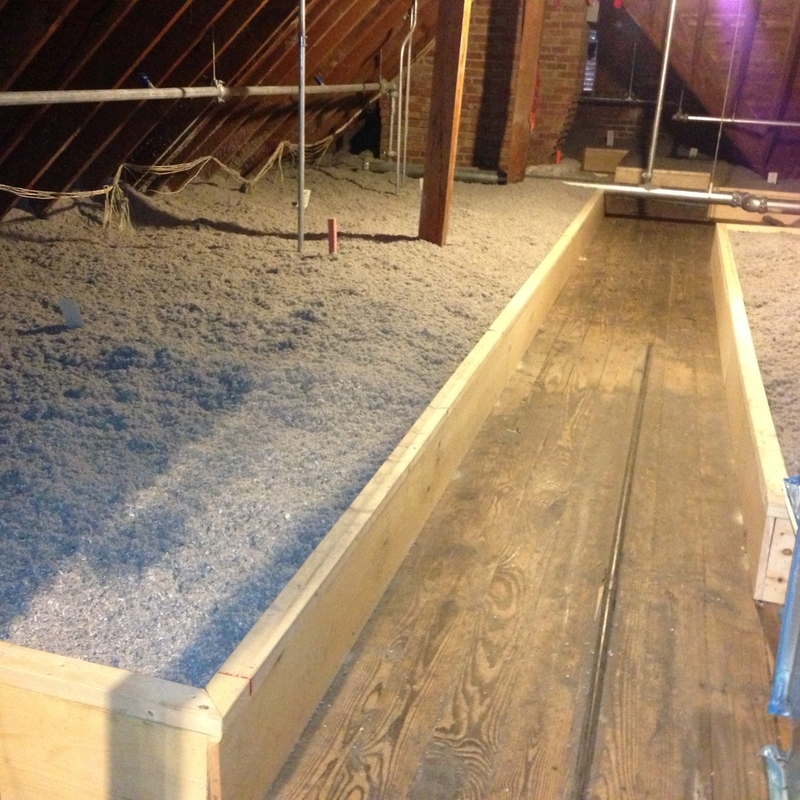 Cellulose insulation can also be open blown into attic and knee wall flat areas. Spray Foam Insulation, or SPF, can offer a greater insulation value while providing the benefits of air sealing. There are two kinds of spray foam; open cell and closed cell. Closed Cell foam is R7 per inch and has the added benefit of being vapor semi-impermeable. Open Cell foam is R4.2 per inch and sometimes a less expensive alternative in the right locations. Because of cost and environmental considerations it is important to know where best to use spray foam products and to make sure your installer is trained by the manufacturer like Energia. Mineral or stone wool insulation is a spun fiber made from molten rock and as such is a very benign material. Mineral wool can withstand very high temperatures and also has excellent sound absorption qualities. Mineral wool can be blown into walls and attics and also comes in batts and rigid board form. Fiberglass insulation or glass wool, is a spun fiber made from sand and recycled glass. Fiberglass can be blown into walls and attics and also comes in a batt form. Some clients with strict environmental specifications or acute health sensitivities desire special insulation products that address their needs. 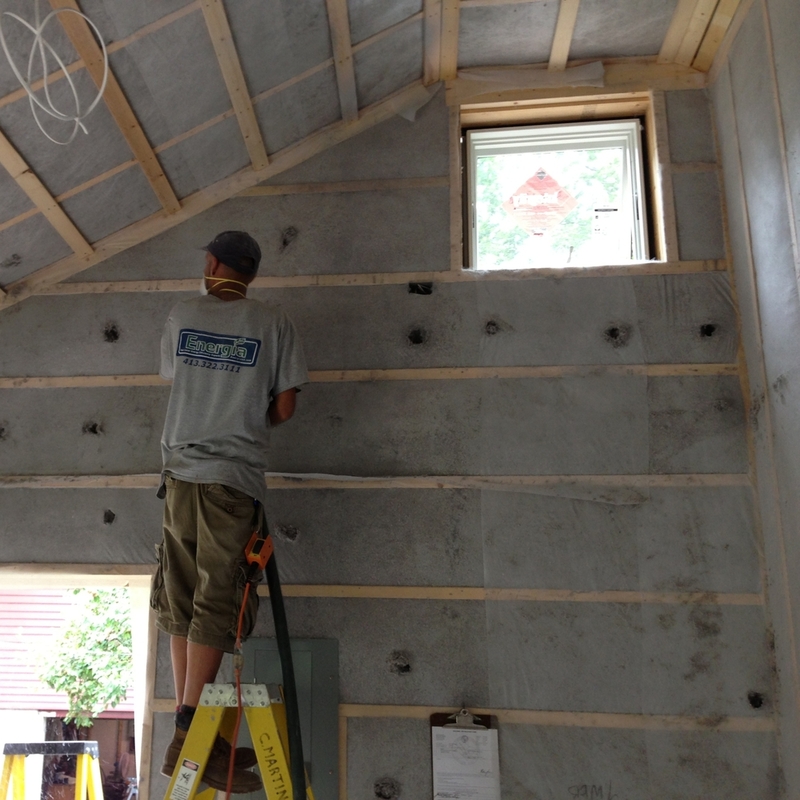 Energia has installed cotton batts, denim batts, and blown sheep’s wool insulation for customers in Western Massachusetts.